Kirby Is Finally Happy To See American Audiences Again — GamingWithSwag.com - Dads By Day, Gamers By Night. Kirby is back on Nintendo Switch and is finally ready to be happy again. If you don't know, the joke is that Kirby is always angry or at least disgruntled on the cover of the US Versions of his games. That has definitely changed recently, making both versions the same. However, this doesn't mean Kirby has lost his attitude. Up until now, Kirby has been genuinely ticked off the past couple of years and really could use a return to joyfulness. Enter Kirby Star Allies, a 2-D romp through dreamland acquiring new powers and larger than life enemies. Not much is known about the game except a major new trick that Kirby has up his pink sleeve that allows him to recruit enemies as allies into his party. By throwing a heart onto an enemy, Kirby can now acquire that enemy for his team of up to four. While these could be computer controlled characters, Kirby Star Allies can have up to three additional friends help you on your quest. Check out Kirby Star Allies coming to Nintendo Switch on March 16th. THAT is a giant ball of waddle dees. 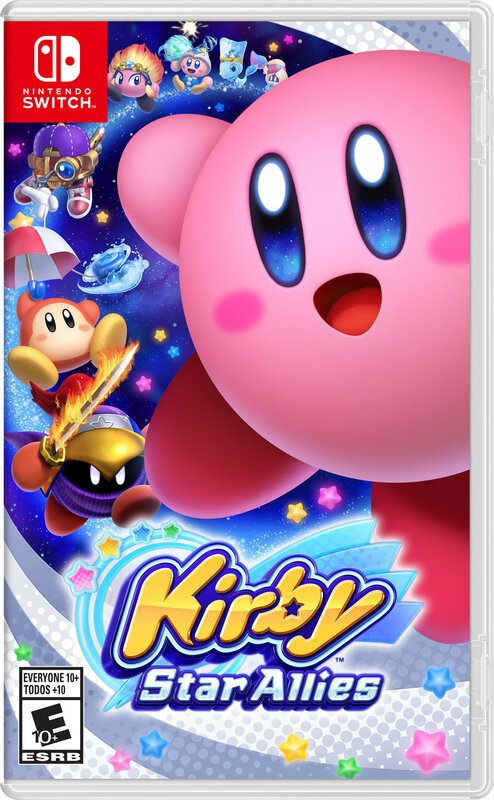 Kirby is back in this new title coming to the Nintendo Switch console in HD. Recruit enemies as helpers, use Kirby copy abilities such as Sword, Fire and Water, and join forces with up to three friends for a different kind of team-up action. Coming 2018! Follow Nintendo E3 Coverage! Apr 27 Did Nintendo Just Shoot Itself in the Foot?